Published Friday, April 22, 2016, OK personal/derivative use; link www.lovethatimage.com. Bleeding hearts are the darling of the shade garden. Little hearts! Connecting with Our World Tuesday, I Heart Macro, Macro Monday, Ruby Tuesday 2, Outdoor Wednesday, Photo Friday, Floral Friday, Today’s Flowers, Pink Saturday, Sunday Seasons, Straight out of the Camera Sunday, and Saturday Show Off. Thank you for your visit, and do come back soon! I love the bleeding heart, gorgeous image. Happy Sunday, enjoy your new week ahead! Gorgeous image Sara and thank you so much for being such a good friend to Today’s Flowers. A very lovely name for that very pretty flower – so tender! Have a Happy Week ahead!! 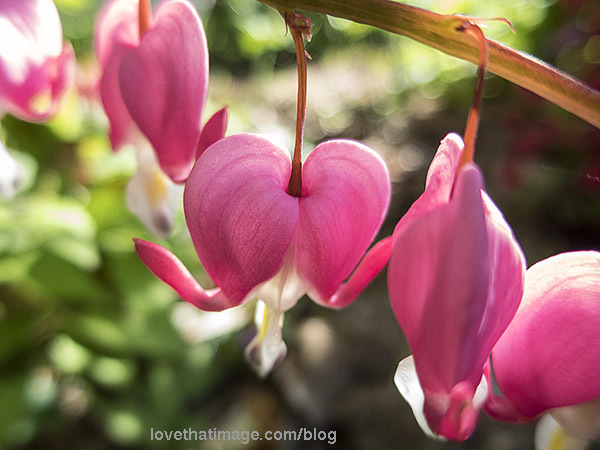 Sara, that’s a beautifully creative image of the delicate Bleeding Hearts! They are an exquisite flower and so delicate. incredibly beautiful! have a happy day! I love bleeding hearts. At one time I had one growing in the garden. I wonder what happened to it? Fun petal shapes on the Bleeding Hearts. I admire your use of macro photography! Bleeding hearts are one of my favorite spring flowers. This one is lovely. Beautiful photo of bleeding heart – I have built a trellis in my backyard for my bleedin heart. Love to watch it from my kitchen window. 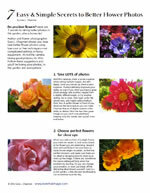 Thank you for joining us at the Floral Friday Photos meme, I look forward to your next contribution.